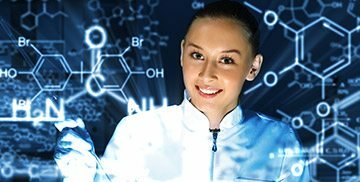 All data associated with instrument calibration, ASTM procedures, and non-standard analytical methods conform to the requirements of ISO 17025. SADT testing is based on the H1 and H4 procedures of the United Nations Orange Book. An alternative approach determines the SADT from data acquired with Accelerating Rate and Differential Scanning Calorimeter data. Click image for a close-up view. 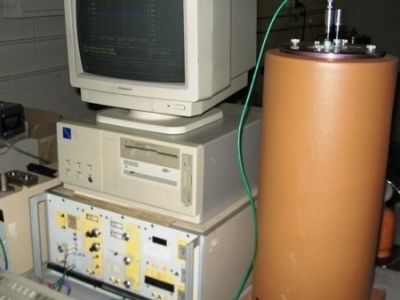 The C80 calorimeter is a versatile heat flux calorimeter useful for heat of solution and reaction calorimeter applications. 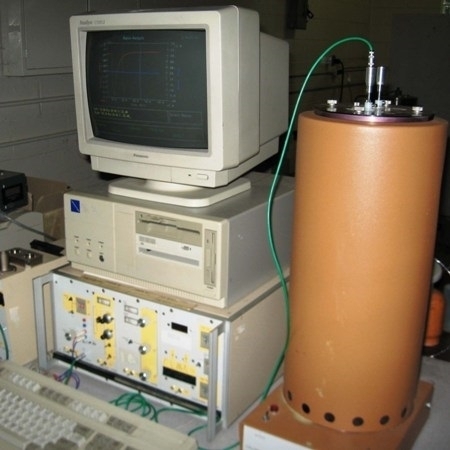 The calorimeter operates isothermally from ambient to 300 C.
The C80 calorimeter is calibrated with Joule heating. 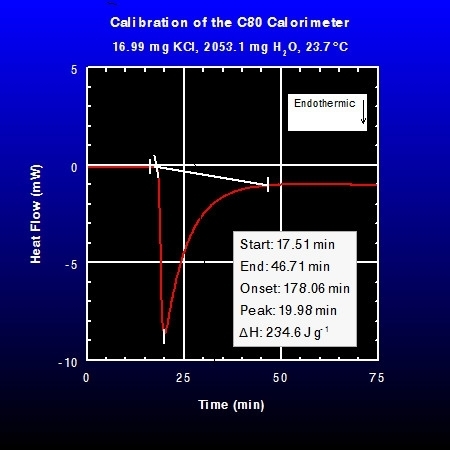 Calibration is validated by evaluating the heat of solution of NIST certified reference material, KCL. 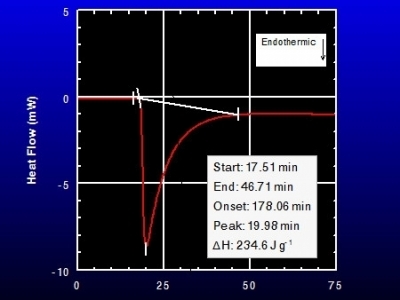 The measured heat of solution (234.6 Jg-1) is in good agreement with the NIST value at infinite dilution.